ALL synchronized transmissions should be shifted with the clutch pedal depressed. Shifting a synchronized transmission without using the clutch can cause premature wear and damage to the transmission. 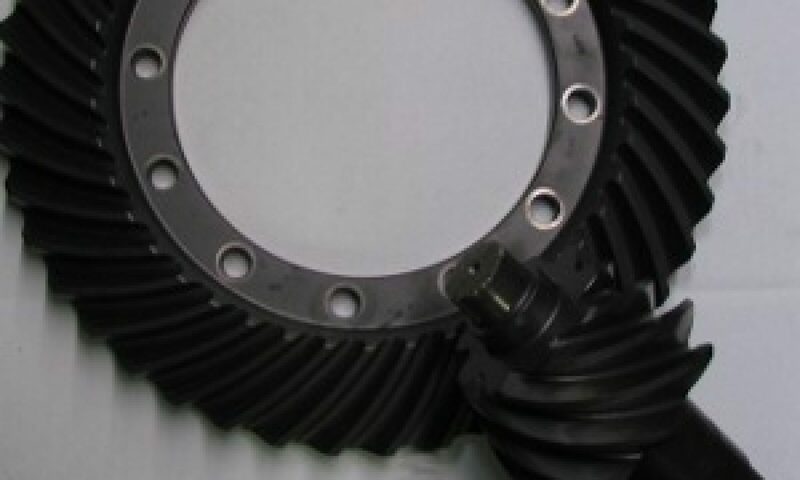 When transmissions have new synchronizers and new main shaft gears, they can be difficult to shift at first, especially if the driver is used to driving the old transmission with worn synchronizers and gears. This HARD SHIFTING will go away as the gears and synchronizers wear (and the driver become accustomed to the newer transmission). If a transmission exhibits excessive HARD SHIFTING, this likely caused by the clutch is not releasing properly. There is a simple way to check if the clutch is releasing. With the transmission in neutral, start the vehicle, depress the clutch and put the transmission into any gear BESIDES FIRST or REVERSE. Continuing to depress the clutch pedal, move the gear shift into neutral, leave it in neutral for a few seconds and shift into REVERSE. If the transmission grinds going into reverse with the clutch pedal pressed, the clutch is dragging. Driving a synchronized transmission with an improperly releasing clutch will cause premature wear and damage to the transmission. Some of the symptoms of vibrations are repeatedly failed and leaking seals, loose yoke nuts, walking or jumping out of gear and noise. Some possible vibrations sources are worn driveline components, improper driveline angles, drivelines installed out-of-time, worn suspension, improperly adjusted air suspension and worn or damaged differentials can all cause or contribute to torsional vibrations. By far, the most common source of torisional vibration is improperly adjusted air suspension. Power Take-offs (PTOs) can cause transmission noise, excessive and premature wear and damage to transmission if they are not installed properly. PTOs must be installed with shims for proper gear mesh. If you are unfamiliar with the shimming procedure or have questions, please call us and ask for technical assistance. Furthermore, a LEAK in a PTO can cause all of the fluid to drain from the transmission, causing severe damage. Shifting problems can often be caused by a worn shift finger, shift lever housing or shifting linkage. Inspecting for wear on the shift finger and shift lever housing should be part of any transmission repair. When installing the rear yoke, make sure to tighten the yoke nut to the manufacturer’s torque specifications. Additionally, make sure to switch the speedometer drive gear or exciter ring from the transmission core. Failure to do so will damage the output seal.